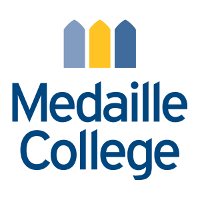 Medaille College @ Albion Correctional Facility seeks a part-time faculty member who is able to teach math courses named above beginning in Fall 2018. Evidence of successful college-level teaching and minimum of a Master’s degree in the appropriate discipline are required for consideration. Preference will be given to candidates with experience in community outreach academic experiences. Questions about this position should be directed to F. Paul Muccigrosso II, Program Director, at francis.p.muccigrosso@medaille.edu. The candidate will need to adhere to a background and security clearance as required by the New York State Department of Correctional Services to be granted access to the Albion Correctional Facility system. Please submit curriculum vitae or resume with cover letter and three contact references electronically to Barbara Bilotta, Director of Human Resources, Medaille College. Please refer to www.medaille.edu/jobs to apply. Review of applications will continue until position is filled. No phone calls please.